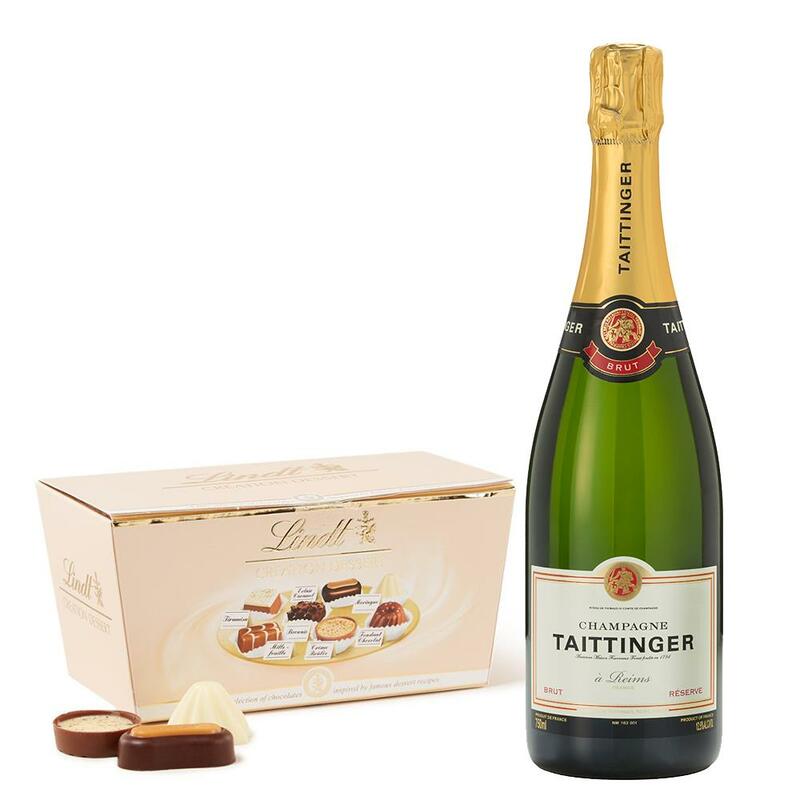 Taittinger Brut Reserve 75cl with An indulgent assortment of Belgian Chocolates (460g), filled with a selection of the finest milk, white and dark chocolates, all hand finished using the finest ingredients. Taittinger’s signature cuvee, Taittinger Brut NV 75cl Champagne Bottle is renowned for its brilliant golden straw yellow colour with a discreet yet persistent mousse of small, fine bubbles. Assembled from more than 35 crus, this champagne is dominated by 40% Chardonnay, which is on an average twice the percentage found in a non-vintage champagne. This product is hand packed onsite by Gifts International, and is not affiliated with any other brand. Gifts International is responsible for this product combination/set.